UPDATE 3/15/14: While Jackie will be buried in Omaha, Nebraska, there will be a visitation and memorial for him in the city he loved: Visitation will be 4-7 p.m. Sunday, March 16, followed by a brief scripture reading, both at Palm Mortuary, 1325 N. Main St. The funeral Mass will be 11 a.m. Monday, March 17, at St. Viator's Church, 2461 E. Flamingo Road. Burial will be in Omaha. In lieu of flowers, donations may be made to Bishop Gorman High School, 5959 Hualapai Way, Las Vegas, NV 89148. Las Vegas gaming pioneer Jackie Gaughan has died. Best known for owning the El Cortez and the Las Vegas Club, among others, during the hey day of Fremont Street, Jackie was a well-known figure to many. Jackie Gaughan first came to Las Vegas in 1943 when he was stationed at the old air base at what is now Nellis during World War II. He moved his wife Roberta and two sons,Michael and Jackie, jr to Las Vegas in 1951. He bought a small 3% of the Boulder Club and 3% of the Flamingo with partner Eddie Barrick. Jackie had a knack for sports books and handicapping. In 1961, he and partner Mel Exber bought the Las Vegas Club and in 1963, they bought the El Cortez. Gaughan hired Wayne McAllister to oversee the design and construction of a new room tower. At one time, he owned or had a part in eight casinos, including the Union Plaza and the Showboat, as well as owning the Ambassador Motel. "At one time or another, Jackie has owned or had a hand in operating most of the buildings of Fremont Street. An incomplete list: Jackie Gaughan's Plaza, and a partnership with Exber in the Las Vegas Club, the Pioneer and Sundance; he was a major stockholder and board member of the Golden Nugget, and he owned the Gold Spike and Western Bingo, and the Bingo Club and Boulder Club. Jackie also owned several points in the Showboat and the Flamingo, but as son Michael Gaughan says, "Dad was a downtown guy. He never understood why people would build neighborhood casinos. He liked downtown. And my dad always did well with the local citizens. Even the El Cortez does well today. He's probably had more gaming licenses than anybody else." And the thing is, Jackie knew his places intimately, visited them daily wearing his plaid sport coats and a sunny disposition. Jackie was never too big to pick up an empty glass or clean an ashtray." 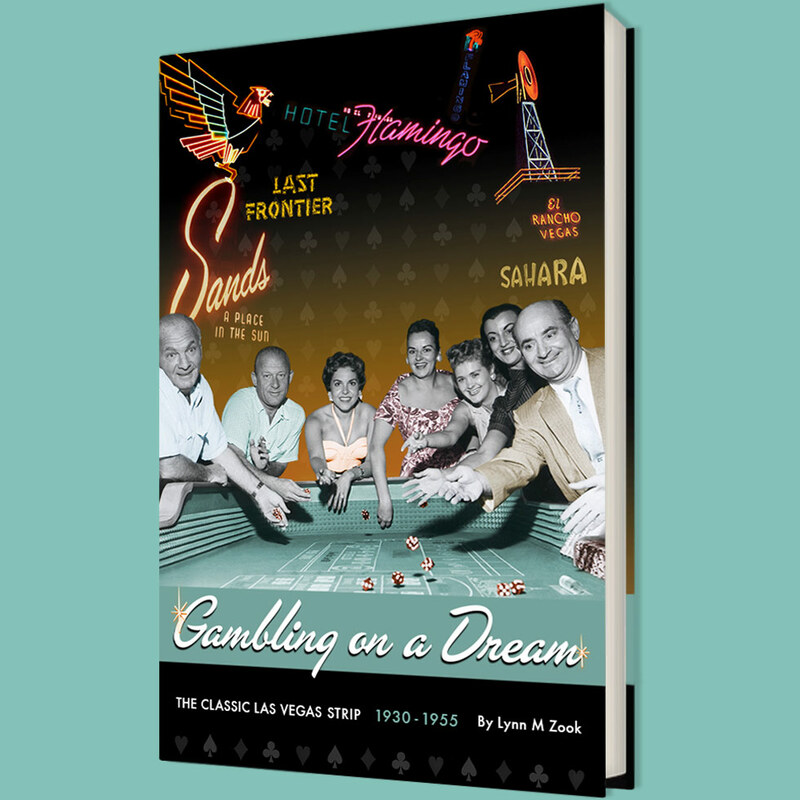 Those of us who grew up in Las Vegas back in the hey day of Fremont Street, it wasn't uncommon to see casino owners like Jackie and Benny Binion in their casinos or coffee shops keeping an eye on business. As he got older, Jackie sold off a number of his properties but he kept his beloved El Cortez. He and his wife Roberta, who passed away in 1996, lived in the penthouse and Jackie could be seen at the gaming tables and walking through the casino. When he finally did retire, he sold the El Cortez to the Epstein family. Kenny Epstein, one of Jackie's partners since the 1950s, his son and Jackie's nephew Mike Nolan became the official owners of the venerable downtown casino and hotel. Rather than give the El Cortez a make over and totally change the tenor of the place, they instead invested in renovating the existing facade and kept the El Cortez as she was, just cleaned up and looking ready for another sixty years of doing business. Jackie lived to see his beloved El Cortez become a registered Historical Landmark. RIP, Jackie Gaughan and thanks for all you did!.